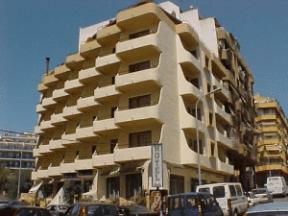 This hotel is well-located walking distance from the centre of Benidorm and to the beach. Surf the Wi-Fi for free and enjoy meals in the restaurant before heading to the bar. The Hotel Andalucía's bright and airy rooms have parquet floors and you can enjoy the sunshine and fresh sea air from your private balcony. All en-suite bathrooms have both a bathtub and shower unit. Head up to the roof terrace to soak up Andalusia's sunshine and admire views over Benidorm. Take the short walk down to Benidorm's beach which is located less than 500 m away. Here, enjoy a refreshing swim in the Mediterranean Sea and lie back on the sandy shores while enjoying the views.